A little while back I posted a link to an article on Reformed author Kevin DeYoung’s blog where he asked, “What’s up with Lutherans?” More accurately, he clarifies, where are they all – and why don’t they play a bigger role in wider North American evangelicalism? Well, he got a few responses – 142 comments last I checked – and most of them from Lutherans like myself. Among those who responded was the Rev. Paul T. McCain who’s a relatively famous Lutheran blogger (and publisher with Concordia Publishing House). In his response, he told DeYoung that we’re all right here, out of sight perhaps but nevertheless working diligently to spread the Gospel of Jesus Christ. He (and a few other prominent Lutherans) also challenged DeYoung and similar Reformed leaders to invite Lutherans to speak at their events if they were really serious in wondering what Lutherans were up to. You’ve got to give credit to DeYoung: he seems to have taken the challenge somewhat seriously. In a post yesterday, he admitted his previous question about Lutherans was not “the finest moment in blogging history” and that it had gotten Lutherans “all riled up”. But in an apparent effort to get to know us oddball Lutherans a little better, he conducted a little interview with Pastor McCain entitled – at Pastor McCain’s request – “Those Dern Lutherans.” Go have a look-see. 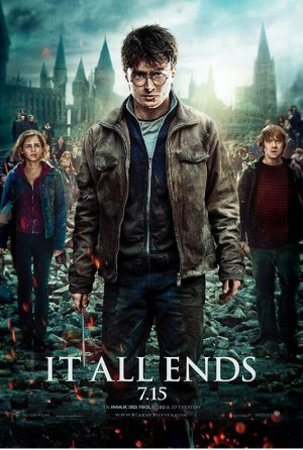 Perhaps some people haven’t yet heard that the final film adaptation from the Harry Potter series has just come out in theatres. To such gentlefolk I am not writing, as I can only assume they must be living under rocks in some God-forsaken land without access to the internet. You, however, dear readers, are not under-rock dwellers (not most of you, anyway) and are no doubt aware, therefore, of the film’s release. And if you’ve already seen Deathly Hallows Part 2, perhaps you’ve been turning over in your mind the events of the story, wondering what to make of it. 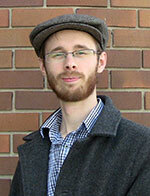 Enter my new review of the film over at The Canadian Lutheran Online: “Love amidst the ruins”. Be forewarned – it has spoilers in it. And it’s a bit rushed in its analysis; the ideas desperately wanted to come out as a 20 page essay, but I think I sufficiently pruned (bludgeoned?) them down into a 1,000-ish word piece. Not that my ideas are necessarily the gospel truth (I don’t have the benefit of legilimency to take a peak into J.K. Rowling’s mind), but I hope they provide some small insight into how the Potter stories themselves interact with the literal Gospel Truth. If you’re still reading this, it means you missed the link to the article above. Never fear. The above image also serves as a link (read “portkey”) to the article in question. Now, away with ye! In order to avoid unsettling questions like the one above, too many of us in the Church have simply ignored the premise of the question: as far as we are concerned, there’s no such thing as mental illness. At most, we seem to think, some people struggle with spiritual problems which could be overcome if they just prayed harder and had more faith. Karl turns that type of thinking on its head. By exploring the stories of three Christians who suffered with mental illness, he thrusts the existence of such conditions before our eyes. Dorothy Carey (wife of the great missionary William Carey), William Cowper (the great hymnist and friend of John Newton), and Ann Hauerwas (wife of prominent theologian Stanley Hauerwas) all suffered with mental illness. None found healing in this world. Karl reflects: “We like the stories where we get up at the microphone and say, ‘These bad things happened but God got me through it, and now everything’s okay.’” But that simply isn’t the case much of the time. “It’s harder to hear these stories,” Karl says. They remind us that suffering and pain are all too real in this world, that God doesn’t simply wave a magic wand and make it all disappear. For Karl, there are no easy answers. And that’s perhaps the point. This side of reality, we don’t get all the answers. All we can do is trust in Jesus Christ, clinging to God as he has revealed himself to us. All else may be smoke and vapours, intangible; but the cross is real. And the cross must therefore be our anchor. My talk on Christianity, mental-illness, suffering and death. Listen with the caveat that death and suffering are bloody awful and have no sufficient theological ‘answer’ except that they will be sealed impotent in the deepest recesses of hell for eternity. Missing you Abigail, and anticipating death’s defeat, when we will be blessed by you once more in the presence of God, whom you loved and still love. Amen. I too eagerly await that day when death will be at last buried in the lake of fire. And I too look for the resurrection of the dead, that day when every tear shall be finally wiped away. Until then, pie Jesu domine, dona eis requiem. Et nobis levamentum dona. The above link is to an mp3 file. The talk can also be downloaded as a wma file by visiting the “Learner’s Exchange” at St. John’s Vancouver’s website and scrolling to Karl’s talk (May 29, 2011). Captain Thin is powered by	WordPress 5.0.4 and delivered to you in 0.405 seconds using 33 queries.